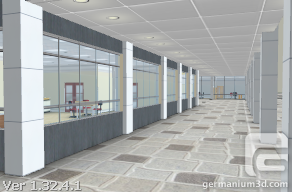 GermaniumWeb 1.32 has been released! Performance. NVIDIA users will experience much smoother rendering, up to three times faster in high geometry scenes. All users will also experience generally smoother rendering and texture loading. Image quality. What better way to enjoy the above performance enhancements than to use the added speed to increase image quality? You can now turn on anti-aliasing, which will reduce unsightly jagged edges. This feature is available on NVIDIA and ATI/AMD video cards. You can also increase the number of anisotropic filtering samples, which will make textures viewed at sharp angles clearer. This feature is available on all video cards. Refresh the webpage after you've made changes. Support for complex text. GermaniumWeb can now display placemark labels which use complex features such as ligatures and diacritics. Note that you will need appropriate fonts installed, such as Arial Unicode MS, commonly installed with the Microsoft Office suite, or the free Code2000. Note also that GermaniumWeb does not support bi-directional text yet. Beta support for Google Chrome. 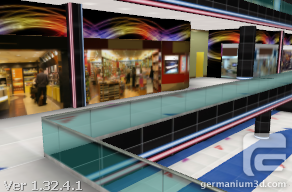 Some of you may have noticed that older versions of GermaniumWeb and the API were already working on Google Chrome. With this release, we're adding official support, as well as fixing some minor bugs. Support is still beta at this stage, so please report any issues you encounter. May I inquire how I should get my plugin to run at the latest API version? I have the latest plugin, 1.32.6.1. However, when I read the String value of "Germanium.GetAPIVersion()", I get a 1.2.21.0, which I understand isn't the latest API version of 1.4.19.1. Also, may I ask if the API version is the problem that resulted in an error from Placemark.SetMaxViewDistance(10); ? Please direct usage questions to our support forum and we'll be happy to assist you there. Thanks!